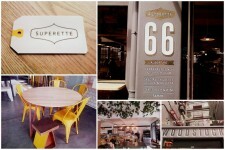 A trendy, yellow and grey, benches and tables kind of joint… this is Superette. Located at 66 Albert Street, within the very trendy Woodstock Exchange building. I stumbled upon this breakfast & brunch hangout while trying to find another coffee shop and am so glad I did because it is such a find. Run by the organizers of the Neighbourgoods Market, Superette is a Neighbourhood cafe which stocks local fresh produce, craft beer, and serves up coffee from Rosetta Roastery and Deluxe Coffeeworks. A new menu is prepared daily and they even have a special brunch menu on Saturdays. 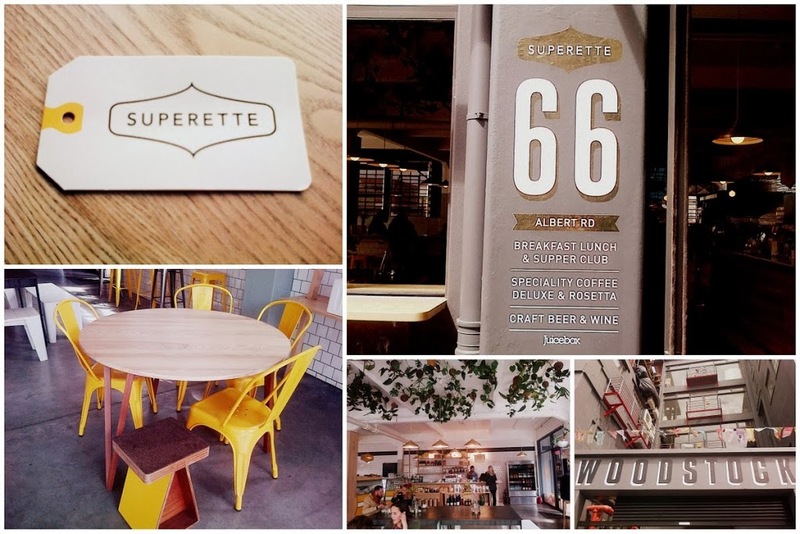 The vibe is chilled, the sun shines in, so make sure you stop in to Superette when you next visit Woodstock. Grab a meal and a cup of coffee, and then mozie through the rest of the artisan stores in Woodstock Exchange, it is a great way to spend your morning.